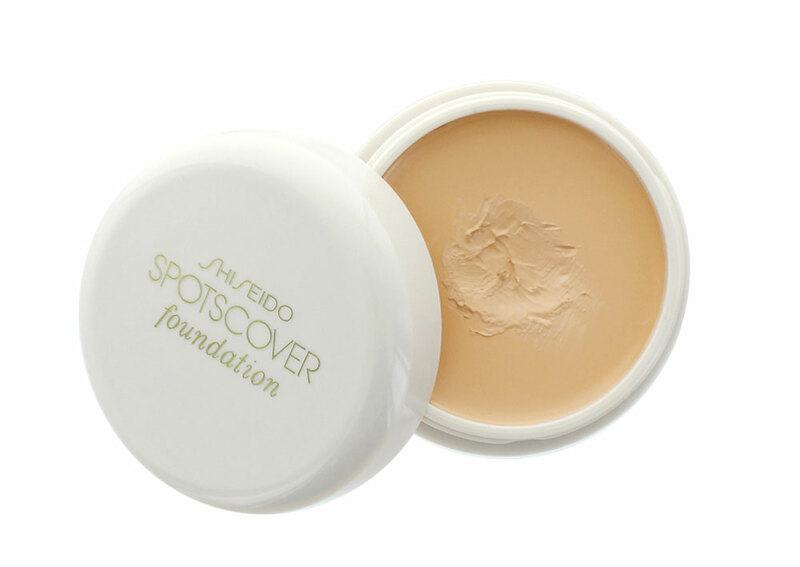 Designed to cover bruises, age spots, birthmarks and even scars, Shiseido SpotsCover Foundation is an all-time winner of Japan’s @cosme Best Cosmetics Awards. The SpotsCover Foundation comes in a small plastic jar about 1 1/2 inches in diameter and contains 20 g of product. There are 14 shades available to suit light to medium skintones. The S series is meant to provide natural coverage for the entire face; the H series for more heavy duty spot treatment; and the C series for color correction. I was able to pick up S100, the lightest shade in the S series at Matsumoto Kiyoshi while I was in Tokyo. Although the color, a medium beige with slightly peachy undertones, looked semi-dark in the jar, it blended seamlessly into my NC20/25 skintone. The foundation felt super creamy and not drying. It applied like a dream and left behind a satin finish that stayed put the whole day, even without setting. Thanks to its insane pigmentation like Kevyn Aucoin The Sensual Skin Enhancer, the tiniest amount worked beautifully as a concealer for pimples, freckles and undereye circles (a trick frequently used by Korean makeup artist Pony). The only downside" Some of the ingredients, including mineral oil, cyclomethicone (a synthetic silicon) and talc, which may not do well with certain skin types. However, I personally have not experienced any irritation or breakouts while using the product.